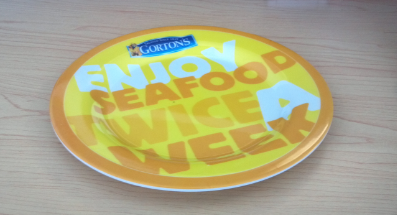 Eat Seafood Twice A Week Giveaway!! 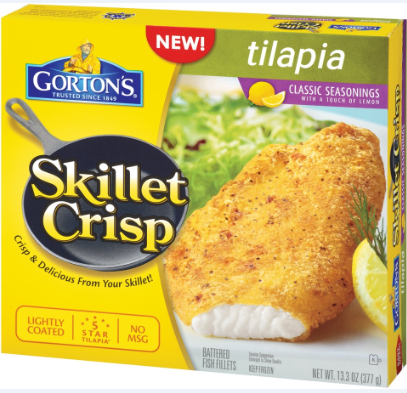 Gorton’s Seafood is now offering an all new skillet crisp Grilled Tilapia in several flavors, each of which were truly designed to make your mouth water! 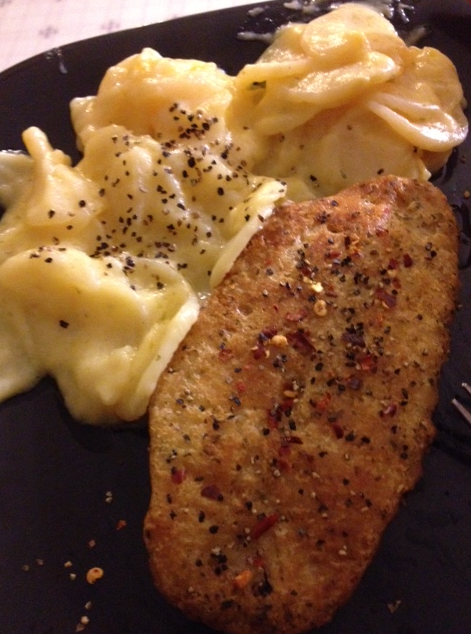 My personal favorite is the skillet crisp Grilled Tilapia with Garlic & Herb seasoning. It only has 200 calories and contains vital vitamins and minerals such as Protein, Vitamin C, Calcium, and Iron (per serving size or one filet). It goes great with a variety of sides and there is also an abundance of delectable recipes which can be found on Gorton’s website HERE! We took more of a conventional approach and made scalloped potatoes with our skillet crisp Grilled Tilapia with Garlic & Herb seasoning. We simply baked the Tilapia at 425 degrees in the oven for 12 minutes then flipped it over to the other side for an additional 12 minutes. As long as you are sure to flip the Grilled Tilapia over half way through, chances are it will come out perfect every time! Gorton’s skillet crisp Grilled Tilapia with Garlic & Herb seasoning is bursting with flavor and is truly mouth watering. It is so easy to cook and it’s such a healthy choice. Just by changing simple routines in our lives, such as eating fish at least twice a week or drinking at least 8 ounce glasses of water each day, you will truly be amazed by such simple yet incredible transformations. For example, I noticed an abundance of energy when I started waking up in the morning especially after eating a healthy meal the night before.